This report clearly demonstrates that the financial commitments to achieve universal access to electricity and clean cooking are still falling far short of where it is needed in terms of both the level of committed funding as well as the most appropriate energy sectors and country recipients. There must be a sharp increase in energy access investments in the 20 high-impact countries that account for nearly 80% of people across the world living without access to energy. While at first glance some of the numbers may seem promising, committed finance stands at only half of the USD 52 billion that is needed annually to achieve universal electricity access. When we look at clean cooking, the picture is even more bleak. Already abysmal levels of clean cooking funding have declined, and now account for less than one percent of the projected funding needed to end the several millions of deaths caused annually from traditional biomass cooking. For more information, follow the conversation online using #SDG7Finance. 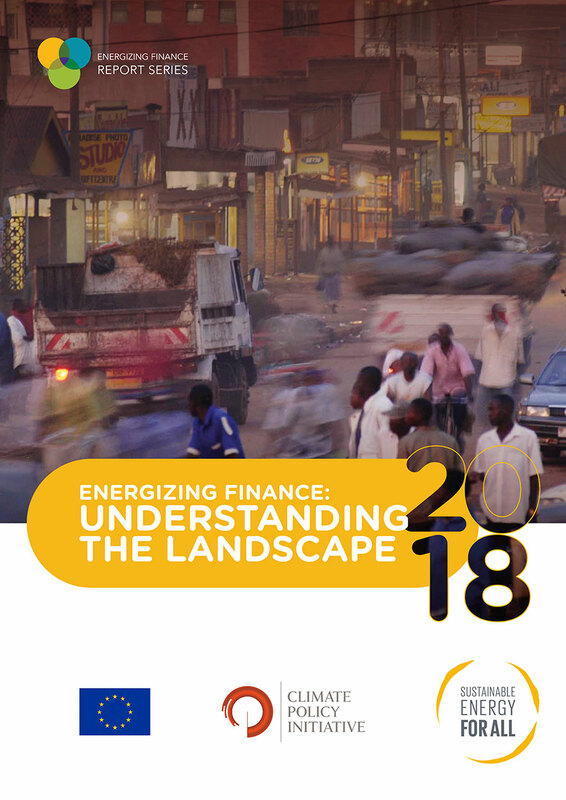 Download the “Energizing Finance: Understanding the Landscape 2018” full report here. Source: Access figures based on World Bank Indicators. Sustainable Energy for All’s Energizing Finance series is the first and only in-depth attempt to capture multiple years of data on investment for the two key areas of energy access: electrification and clean cooking. It focuses on public and private finance commitments in 20 developing countries – known as the high-impact countries – that together account for nearly 80% of those living without access to sustainable energy. Building upon the first 2017 report that examined averaged annual financial flows in 2013 and 2014, this latest report updates its findings with energy access financial commitments from 2015 and 2016. As a result, policy makers and investment leaders for the first time can begin to track progress in scaling up energy access finance since agreement was reached on the Sustainable Development Goals.